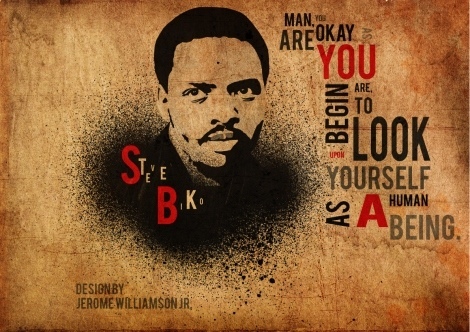 Steve Biko | Dizzy yet? The Man is Dead. The Man is Dead. Stephen Biko, political activist and ideological leader of the Black Consciousness Movement (BCM), was only thirty years old when he died in detention under mysterious circumstances on 12 September, 1977. His political career was brief, but had a profound impact on the liberation struggle. He espoused the philosophy of black consciousness, linking identity politics and social action. Biko first became involved in liberation politics through the National Union of South African Students (NUSAS) while attending medical school. His views on black identity and pride led to the formation and expansion of the South African Students’ Organisation (SASO) in the late 1960s. Biko served as both the president and publicity secretary for this body, which served as the nucleus of the BCM. He founded the Black People’s Convention (BPC) and was banned by the South African State in 1973. This new movement empowered a generation of young black South Africans, fuelling revolutionary events, including the 16 June 1976 Soweto Uprising. 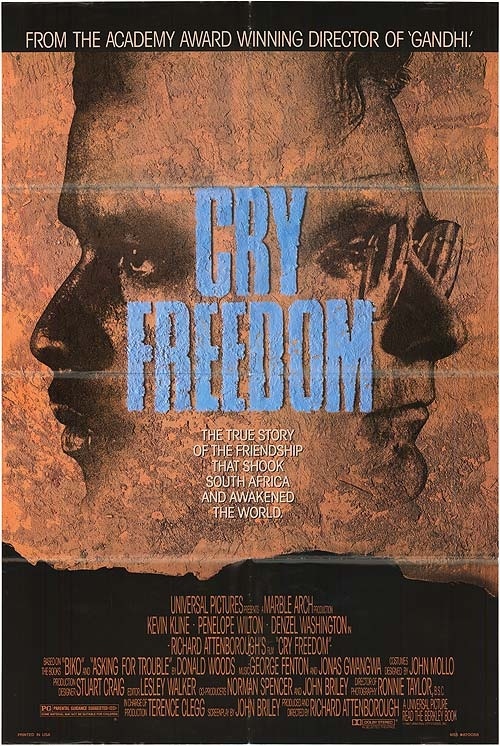 Biko’s prolific writings, political lobbying, and his community activism drew the attention of the Security Police, and he was detained on numerous occasions. His life was adversely affected in many ways, including expulsion from the University of Natal in 1972, his first banning in 1973, and, ultimately, his death in detention on 12 September, 1977. He is regarded as a martyr of the liberation struggle. His 18 August 1977 detainment included severe torture at the hands of security police. He was interrogated for twenty two hours, and beaten until he suffered brain damage. He was chained to a window grille and denied medical attention for his injuries. His injuries did not improve, but it was only on 11 September that he was taken to Pretoria for medical attention, but he died shortly after his arrival. J.T. Kruger, then-Minister of Justice, denied that police had abused their internationally renowned detainee, arguing that his death was the result of hunger strike. An autopsy conducted by the late pathologist Jonathan Gluckman at the request of Biko’s family found that he had died of brain damage as a result of blows inflicted upon him during his detention. Gluckman’s report led to an inquest: no policemen were charged, but Biko’s family eventually received a settlement from the state. The cover-up of Biko’s death in detention was exposed by then-journalist Helen Zille in the Rand Daily Mail, edited by Allister Sparks. Zille had received evidence from Biko’s doctors, including Gluckman. Biko’s death sent shockwaves around the world, and his funeral, attended by ten thousand, resulted in nationwide incidents of social unrest. During the Truth and Reconciliation Commission (TRC) proceedings, four of the surviving policemen involved in Biko’s death were refused amnesty. 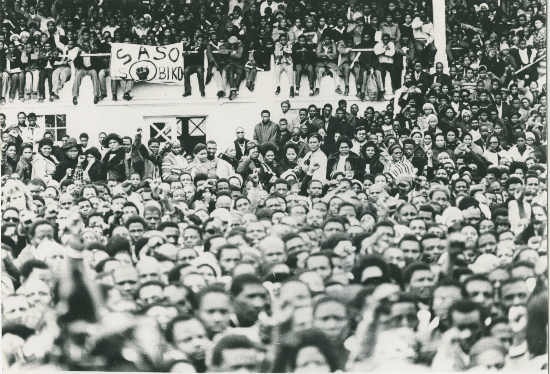 Mourners gather to pay their last respects at Steve Biko’s funeral in King William’s Town, 25 September 1977. Well over 10, 000 people attended — thousands more were prevented from attending by police roadblocks.